Over the years, we have maintained a reputation for designing and constructing permanent, hard cycloramas (cyc walls). 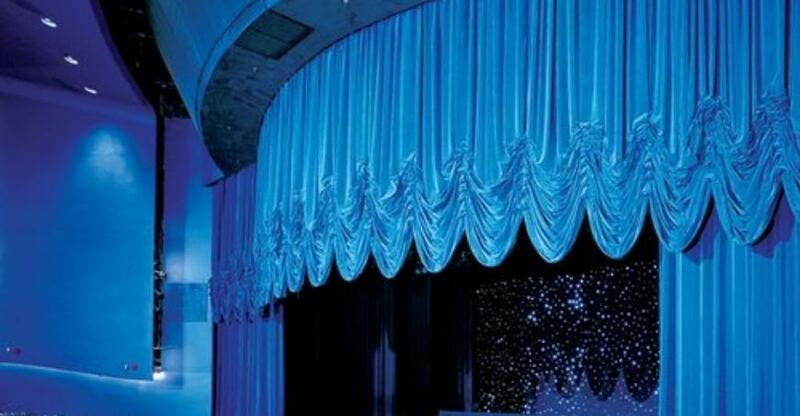 Be it a studio or a stage, Stage Curtains has pioneered the use of large, perfect-radius cyclorama corners to create open corners that are extremely easy to light. In recent years, we have worked with many top studios and corporations in India. We are flexible with our working style - as every space is different, and we need to know the exact size of the given space before designing cyclorama. Even the condition of existing walls and floor need to be checked to create a perfect cyclorama. After all the analysis, we provide you with an accurate quote for the cyc installation that’s suitable to your environment and preferences. Our expert team helps you to get cycloramas of any length and height, as well as top coves if required. The cycloramas are built against the existing walls for faster and more convenient installation. Before installing, our engineers firstly help you to evaluate the given space. Once the entire space has been evaluated, our specialists start preparing different parts in-house and further transport the built units to your location for creating the desired cyclorama. For the final installation, we prime, paint, and leave you with a camera-ready section.